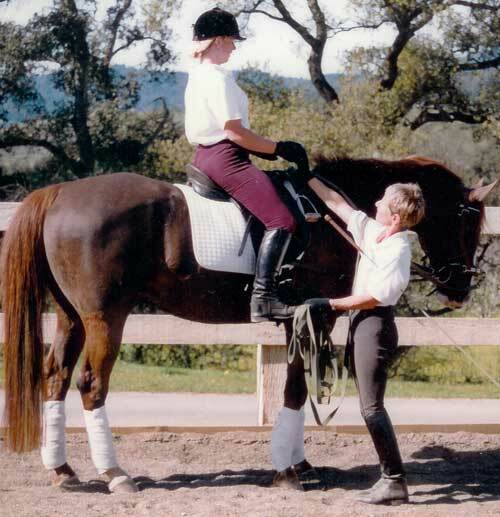 Classical Seat Instruction on your horse, in your home, at your convenience. There are very few biomechanics experts in the field of riding instruction, most of whom are unavailable to the average rider. Video Consulting with Erica Poseley, available world wide using free tools such as Skype and YouTube, allows you to take advantage of Erica's expertise no matter where you live. Now you can have access to this instruction even if you are geographically isolated and can’t get enough people together for a clinic with Erica. Video Consulting with Erica Poseley gives you powerful feedback. Watch yourself ride while seat specialist Erica interacts with you, analyzes your mechanics and recommends areas for improvement. Video Consultating with Erica Poseley will enhance your body awareness and understanding of the changes necessary to improve your riding. 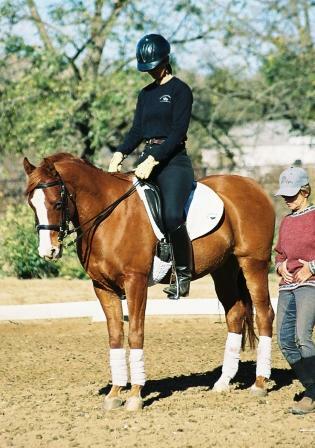 As your riding improves, your horse will be happier and better able to use his/her body as well. You need to take a short video clip and post it on YouTube. Not much footage is needed, no more than six or seven minutes maximum. Once the video is uploaded, simply pay for your consultation by clicking on the Pay Now button at the bottom of this page (using PayPal or your credit card). Then contact Erica at erica@gotseat.com or 831-206-9613 to give her the link to your video and arrange a time for your consultation via phone or Skype. In the consultation, you and Erica will then go over your ride in detail as you both watch the video together, in some cases pausing and looking at the ride frame by frame. This format allows you to see what your body is actually doing, as opposed to your perception of what is happening. Erica will assess your biomechanics, show you the mechanics of your body position, how it is affecting your horse and recommend steps you can take to improve your riding. If you would like feedback on your USEF Dressage Rider Test, then video yourself riding the Rider Test of your choice. You may also send an existing video of a ridden dressage test, from a horse show or schooling, if so desired. Another option is to video according to the initial evaluation guideline below. Four walk/halt transitions each direction, either on a circle or on a straight line. Two 20m circles of posting trot in each direction. One 20m circle at sitting trot, if rider is at that level. Two 20m circles at the canter in each direction. After the first consultation, you and Erica will have established a solid baseline from which to work and subsequent Video Consultations can focus on more advanced movements such as leg yield, shoulder-in, haunches in, etc. Since everyone is different and has a variety of goals, contact Erica to discuss how to get the most from your consultation. Erica’s goal is to help you improve in whatever area you’re working on, to maximize your riding enjoyment. Feel free to contact Erica at erica@gotseat.com or call at 831-206-9613 with any questions!